Last Christmas, I shopped online for gifts that I could give to my friends and loved ones. It was liberating. I didn't need to go out and dress up. I didn't need to travel, so I saved money on gas and parking. I didn't need to hit the food court since I wasn't outside. Shopping online saves travel time, as well as time for researching. It is easy to compare models of the same item in the comfort of your home or working place. Check that the item has free shipping especially if you are purchasing a big order. Many companies offer free shipping if you purchase a certain amount. If you want to get free shipping, you can see if you and others want to combine all items into one purchase to qualify for free shipping. Get a membership card or join rewards programs. Many online stores offer membership cards with coupons through email. These membership cards will earn points that will accrue for your purchases in the future. 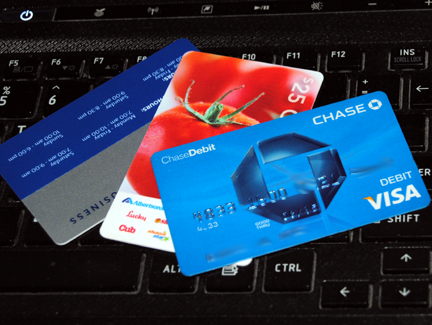 Credit cards can also qualify you to get discounts from certain stores. Both membership and credit card saves time when you are paying for your purchases. Check out sites where many people are selling items. Classified sites such as OLX (formerly Sulit) are a great way to uncover bargains and treasures you can buy then resell for more money. You can buy an item and improve its value through restoration or clever marketing. You save money and time when you know exactly where to go to get the best price for an item you want to buy. Most online stores offer coupons and vouchers that you can use to redeem some items or use them to get discounts. We found one site money saving site Daily Savers Club that offers lots of coupons and promo codes to lots of international retailers including ASOS. Follow all your favourite brands on Facebook and Instagram. Social media sites are great ways of saving money when buying online. Stores advertise their deals and sales on social media sites. Disclosure: This is a sponsored post about a topic that I strongly believe in.